I decided for April just to go with the sample choice of Dr Jart cream since my skin need TLC and found out later that I will receive the Benefit They're Real Lip Liner as well!! 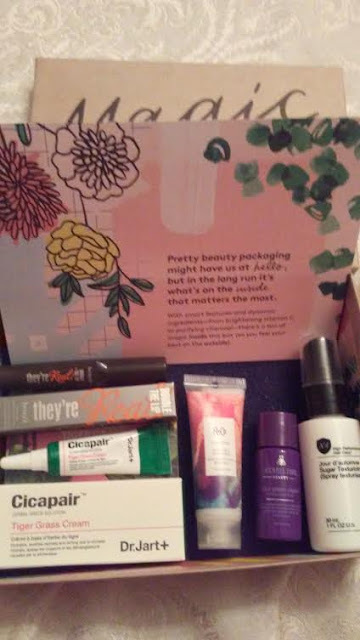 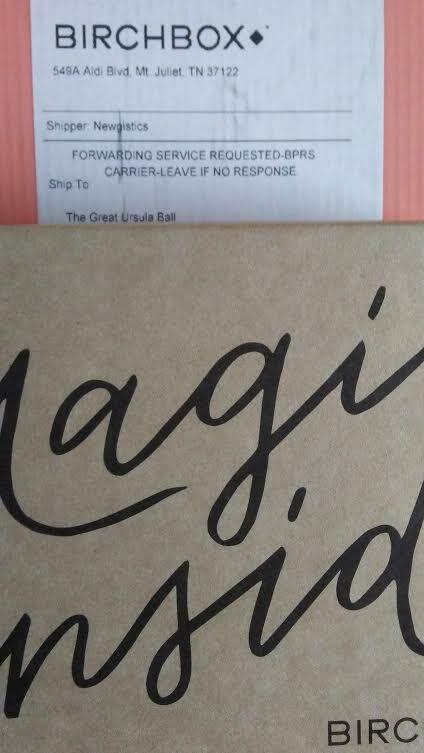 I like this month's theme of "Magic Inside" from the cool box design (on the inside) to the recommended products to help with my beauty issues! I love using Benefit cosmetics and skincare via Birchbox so I was really glad to receive this additional sample choice option, Benefit Cosmetics They're Real! Double the Lip in "Pink Thrills" (Full-size, $20), along with Dr. Jart sample choice!! 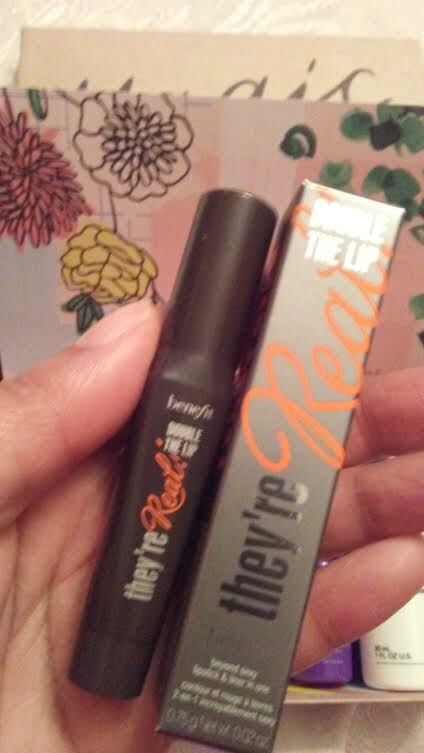 I really love the 2 in 1 concept which is perfect for makeup newbs or multi-tasking ladies! I paired my lipstick with my other samples for simple Benefit makeup look! 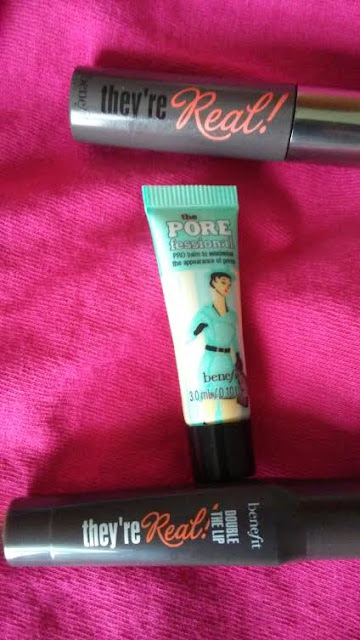 Highly recommend this Benefit lipstick! 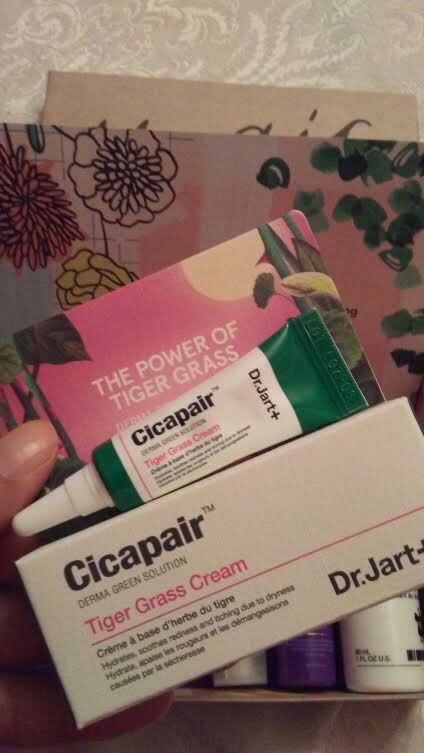 I have always enjoyed using Dr. Jart's + skincare products via Birchbox and that's why I chose my sample choice of Dr. Jart+ Cicapair Tiger Grass Cream (Full-size, $48). 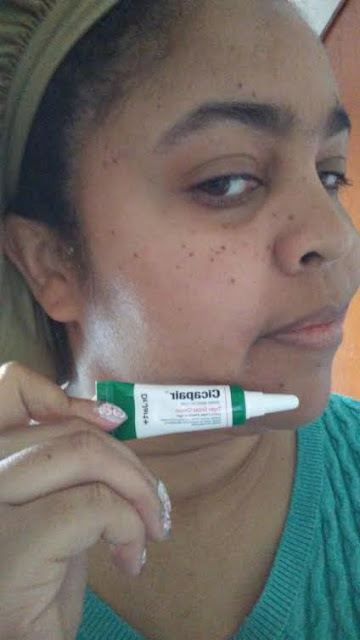 I have Crohn's Disease (autoimmune condition) and that means skin breakouts! I used this moisturizing cream with herbal power of Tiger Grass and other medicinal herbs to help heal and clear up my break out! 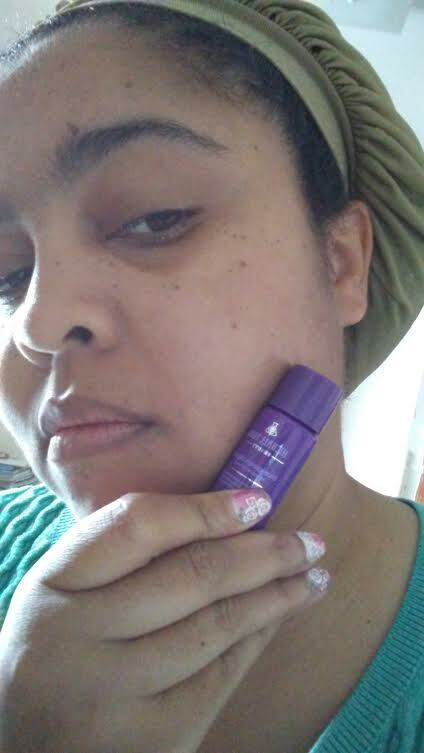 I have been using it for a few days but love how hydrated my facial skin is and no long term medicinal smell! 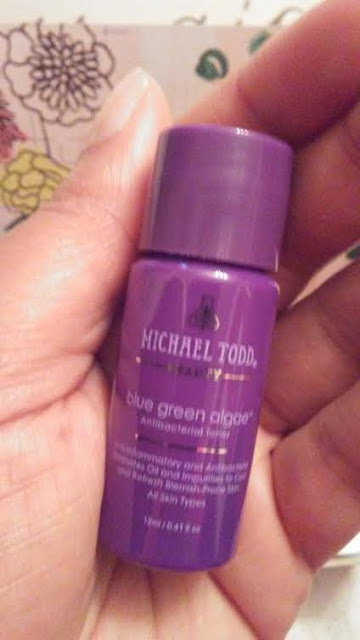 I love using a good toner that cleanses but doesn't strip my dry facial skin which I discovered with Michael Todd Blue Green Algae Antibacterial Toner (Full-size, $19) which I felt refreshed before applying my skincare products! 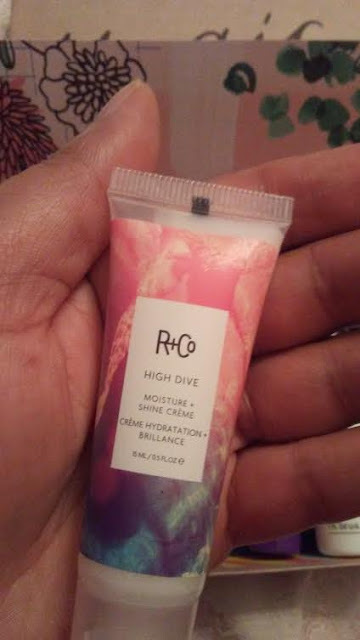 Just in time for warmer Spring days and humidity, I can't wait to use this R + Co HIGH DRIVE Moisturizing & Shine Creme (Full-size, $27) on my long, relaxed hair and will keep you posted with my hair results with this latest product! 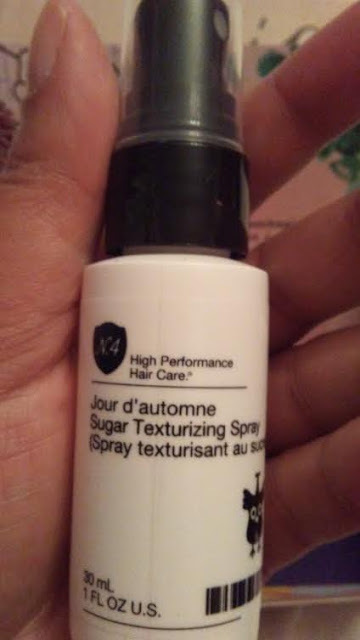 I love trying Number 4 Haircare products via Birchbox so I will keep updated when I used this Number 4 Jouer d'Automne Sugar Texturizing Spray (Full-size, $22) on my long, wavy, relaxed hair type! 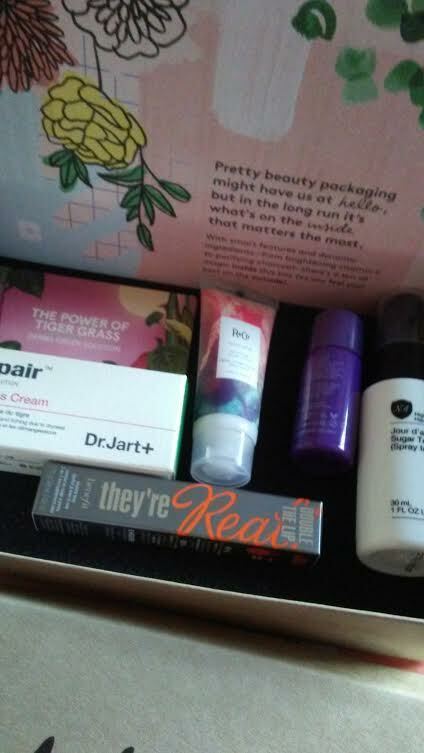 Thus far, I personally give this April Theme "Magic Inside" Birchbox a rating of "Five out of Five" because I tried and love several Dr.Jart's, Michael Todd Beauty, and Benefit and enjoyed receiving hair products that I can use for later from two fave salon brands from Birchbox!! I have saw and loved the previews for the May Birchbox which I can't hardly wait to select and buy!